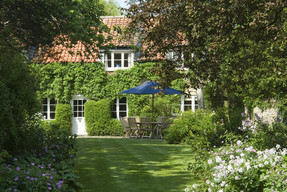 Hungate Cottages self catering accommodation in Pickering, UK. Hungate Cottages are the perfect choice for your self catering holiday accommodation. Hungate Cottages located on the outskirts of the delightful historic town of Pickering in North Yorkshire. There are 11 highly individual holiday cottages with the unique appeal of being a short walk from the town centre, whilst at the same time retaining the tranquillity and peacefulness of the countryside. Pickering itself is right on the doorstep of the Yorkshire Moors and is a short drive from the Roman City of York and the beautiful port towns of Whitby and Scarborough.